Forget Popeye or the Power Rangers: our new superheroes are Matcha, Maca, Moringa, Wheat grass, Acai, Hemp, Cacao, Chia, Green Protein, Magic Berries, and Barley grass. You can argue about this “hype” or think about it whatever you like. Fact is, that all of those “super foods” are completely natural, originally found either in form of seeds, leaves, or grasses, and can do just a little more than other plant based foods. RECIPE idea: Add up to 2 table spoons to your favorite organic juice, smoothie or just a glass of water. 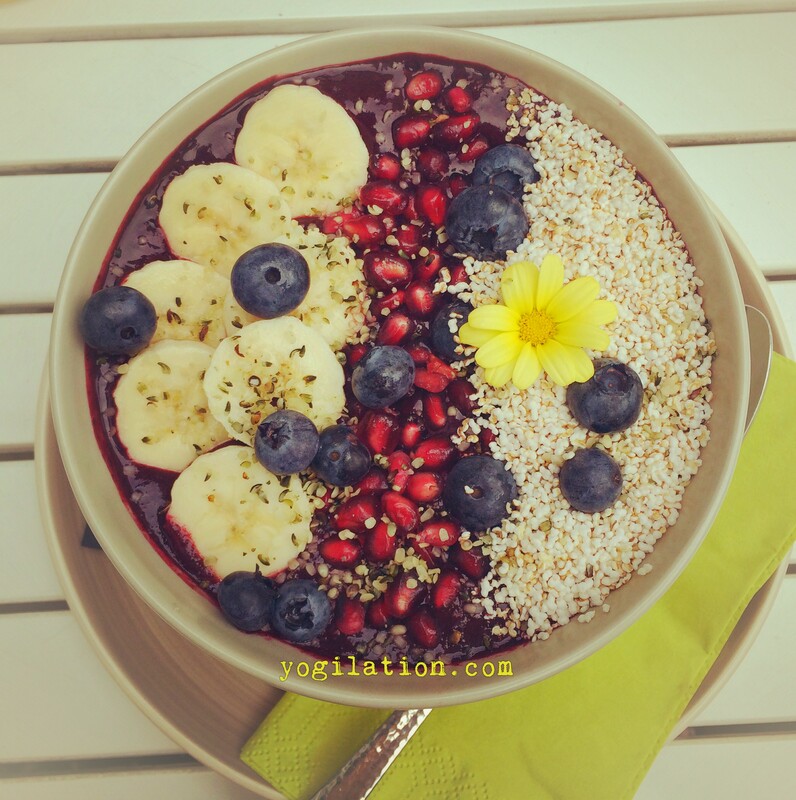 NOTE: Do not mix ACAI powder with any milk products (e.g. yogurt, milk etc.) as it makes it hard to digest. CHIA Seeds: naturally high in calcium, zinc, iron, fiber, phosphorous, copper, manganese, protein, and Omega 3 and 6 fatty acids. HEMP Protein: naturally high amount of protein, fiber and iron, easy to digest, aids brain, heart, and kidney health, good for muscle regeneration and muscle building. – Benefits especially active people, athletes, and vegans. RECIPE idea: Add 3 table spoons to your smoothie, oatmeal, or mix it with oat, soy or almond milk. MACA: naturally high amount of Vitamin C, Vitamin B6, Niacin (B3), fiber, iron, calcium, iron, manganese, copper, and potassium, natural source of protein and riboflavin. RECIPE idea: Add 1 table spoon to your favorite smoothie, oatmeal, a glass of water or juice. NOTE: Be careful when trying it for the 1st time. Start with teaspoon and increase intake slowly (max. 1 table spoon). – Benefits our bodies in so many ways, including balancing our hormones (especially due to malnutrition), fighting against free radicals, getting rid of toxins and other heavy metal laden, which is particularly important when trying to get off certain medicine/pills. RECIPE idea: Mix 1 tea spoon (per day!) in your oatmeal, smoothie or juice. Power COCOA: naturally high in Vitamin C, potassium, fiber, manganese, magnesium, iron, copper, natural source of Vitamin B6, protein, and calcium. RECIPE idea: add 2 table spoons to your favorite smoothie, almond-, -rice or oat milk, or simply to a glass of water. NOTE: To keep all nutrients, please make sure to not heat it up too much. RAW COCOA: natural source of omega 3 and 6 and calcium, high in fiber, magnesium, potassium, protein, copper, manganese, iron and zinc. RECIPE idea: My favorite coffee alternative in the afternoon in the office is 2 table spoons mixed with warm lactose free milk and loads of milk foam 🙂 YUMM! You can of course also add it to your smoothie, juice, oatmeal, or simply water. Enjoy a small slice of fresh orange afterwards to maximize the “boost” and taste! So, I hope this little summary will help you find just the right topping or addition to any of your favorite smoothies, water, juice or breakfast (oat) meals. Just always remember, it’s ALL ABOUT BALANCE. Do and eat what makes you and your body feel good, energized, healthy and happy! Hi there. 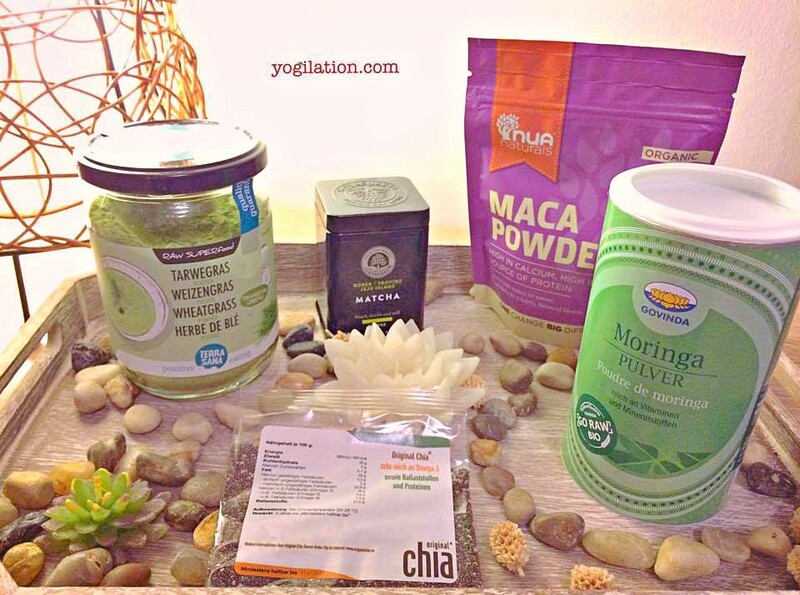 I wanted to ask is it ok to add Maca, Morniga and Baobab together in a smoothie? Hi Ed! I suggest to try it out, however, only about half of a tea spoon from each. Otherwise it might be too much. I actually mix Maca and Moringa quite often into my oatmeal in the morning.